It’s always good to see a wine-focused entrepreneur starting up a new wine business, especially when the model is a little bit different. A long-standing member of the wine-pages community, Paul Armstrong has taken his skills in IT and lifetime love of wine to create cellartrade.co.uk, which launched on August 14th. Cellar Trade is a peer-to-peer online auction site that it is all about individuals trading wines with other individuals via the platform. 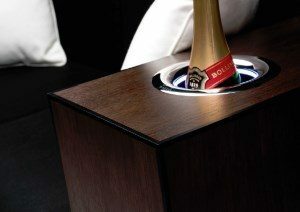 Register as a buyer or seller, and you can list or bid for wines being offered by other members of the site. To buy is commission-free, and sellers pay a highly competitive commission rate of between 4% and 8% to Cellar Trade on their sales. 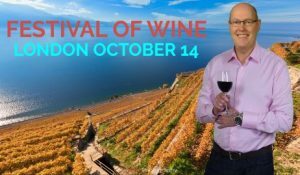 With the Glasgow and Edinburgh Festivals having sold out several months in advance, my advice is not to delay too long if you are planning to come along to the London Festival of Wine on October 14th 2017. With 450 of 500 available tickets already gone, and all masterclasses sold out, now is the time to grab your tickets and join me for an extraordinary day in a beautiful city centre venue. 42 exhibitors will be pouring over 400 high quality wines, with all samples included in your £25 ticket. Exhibitors include top world winemakers, and the best of the UK’s wine merchants and wine importers. See the full list here. The South African wine industry has come a long way since 1994, and now a short film has been commissioned by Wines of South Africa that focuses on inclusivity, upliftment and growth of the industry with its people are at the forefront. 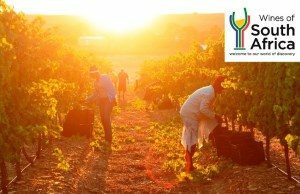 The film showcases a few of the programmes that are in place, and efforts that are active today, in an effort to enrich and add value on a range of levels to wine industry workers, including land ownership, education, health care, training and business opportunities. Watch the movie on YouTube by clicking the image above. A report published recently by BMI Research on consumption of rosé wine showed huge growth in pink drinking in the USA, with French customs data showing export volumes of Provence Rosé to the US climbed 47% year-on-year in 2016, the twelfth consecutive year of double-digit growth. In 2016 the US imported 11.4m litres of Provence rosé, compared to just 0.4m litres in 2006. But also in the report was another astonishing graph, showing the increased per capita consumption of wine in the US, compared to a similar fall in beer consumption. There’s no mention of value or quality of wines being consumed in the report.